Disclaimer: This column is for information only and no part of its content should be construed as medical advice, diagnosis, recommendation or endorsement by Dr. Greathouse. Always get clearance from your medical doctor before use! Curcumin (Turmeric) An herb, a major ingredient in curry powder and also used in mustard. Curcumin dosage as anti-inflammatory, 200 to 400 mg, three times per day. To achieve similar amounts of curcumin using turmeric would require 4,000 to 40,000 mg. In combination with Bromelain (also an anti-inflammatory) increases absorption. Best taken on empty stomach 20 minutes before meal. Quercetin 250 mg 3 times per day, between meals. Bromelain 500 mg 3 times per day (pineapple enzyme). Ginger, 2 grams per day in powdered form or 500 to 1000 mg per day in extract form. Omega-3, Essential fatty acids (EPA/DHA), 360 mg per day. Comfrey Root Extract Ointment Relieves Back (topical). Vitamin C, 3 to 4 grams per day. Zinc, 50 mg per day, also promotes white blood cell production which clean-up the injured cellular debris. Vitamin E, (D-Alpha-tocopheral), 600 IU. Creatine & L-tryptophan suppress acute and chronic inflammation. MSM (methylsulfonylmethane) If allergic to sulfur, do not use! 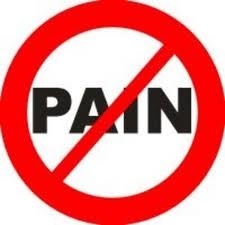 Dosage recommendations, 400 mg to 8,000 mg per day in divided doses for severe pain. Green drinks, barley, wheat grass juice provide powerful anti-inflammatory and pain-relieving effects. Increase water intake, and eat fruits and vegetables. Avoid products (omega-6 fatty acid), such as safflower oil, corn oil & sunflower oil. Boswellia extract, from India medicine. Effective for arthritis; 100 mg daily in divided doses, with food. Sea Cucumber: 200 mg daily. You can take as much as 1,000 mg per day and cut back as you feel better. Penetran+Plus: a topical product sold in health food stores, works by re-establishing electrical balance in cell membranes. Studies show good effectiveness. Magnets; some studies do support pain relief effectiveness. Prolotherapy: Before you have surgery and when all else fails you may want to consider this approach. Basically it’s utilized for lax or loose joints (unstable). Injections are used to stimulate production of new collagen. Contact American Association of Orthopedic Medicine 800 992-2063, a $10 charge for info. Acupuncture: plenty of evidence this helps. Like anything else though, works for some but not for others. Well worth a try. Vitamin B6 (pyridoxine) utilized in almost all biochemical functions. Used for neurotransmitter (nerve) disorders, 250-mg/day safe dose. Scientific study indicates a possible causal relationship between carpal tunnel syndrome and B6 deficiency. A recommendation for additional supplementation of 50 to 100 mg/day, not to exceed 250mg/day, is suggested for carpal tunnel syndrome. Glucosamine sulfate beneficial for joint repair (500mg 3x per day) & Chondroitin sulfate 200 mg per day. These two are normally found in combination and have good supporting evidence in the literature. Still has data that’s not supportive as well. Knox Gelatin, 2 ounces per 100 lb. body weight.